Cleanse your mind and body at the Japanese gardens of Kyoto! Every time you come to Japan, you want to have a lot of yummy things, right? 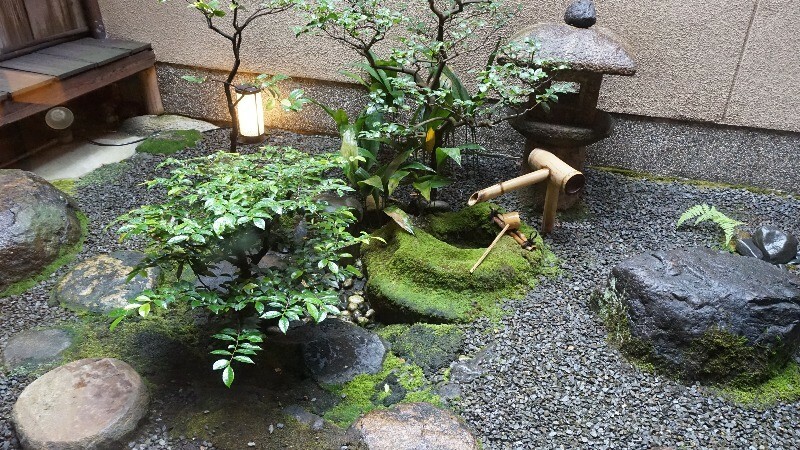 And at some restaurants, you get to feel the spirit of the Japanese tea ceremony and see the roji gardens which are associated with tea rooms. These gardens were a way for the guests to prepare for the coming ceremony, and so they were a part of the hospitality toward the guest. As an extension of this kind of hospitality, many restaurants have a garden for the customers to look at while they eat. These kinds of roji gardens can often be seen in Kyoto, and I think it would be a splendid idea if you could go to one of them when in Kyoto, so take a look at this list of restaurants that have a roji garden! Tempura Endo Main Restaurant in Gion is one of the best tempura restaurants in Kyoto. The restaurant is in a traditional Kyoto townhouse, and you can enjoy the Japanese atmosphere all around you. The first-grade ingredients are made into delicious tempura by experienced shokunin-artisans, and the tempura is a delectable treat that is not too greasy but lets you taste the essential deliciousness of the ingredients. At the central garden, you can see the “roji.” The beautifully places rocks and trees make this garden a joy to look at when eating your tempura. You can enjoy the beauty of nature not only in the dishes but also with your eyes. La Locanda is an Italian restaurant inside The Ritz-Carlton Kyoto, and while the restaurant looks very fancy, there is a central garden in the middle of it with a stone lantern in it. In this way, the restaurant combines western and Japanese concepts. It’s hard to find anything to complain about here; so just enjoy the experience! Their authentic Italian full course meals contain everything from appetizers to desserts. 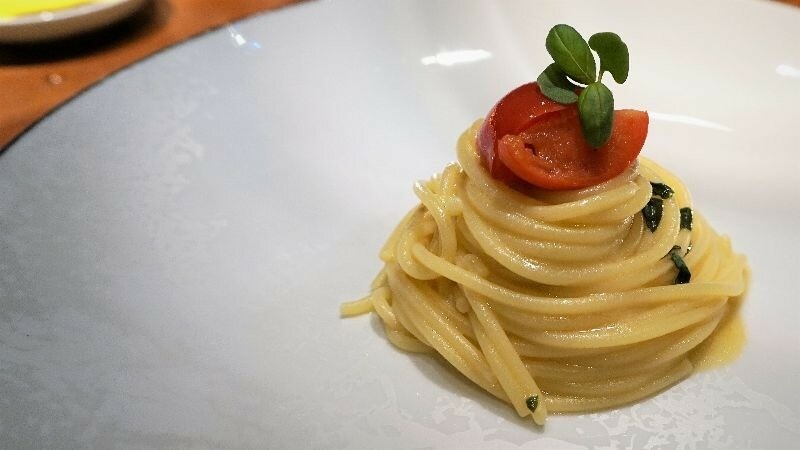 In the picture, you can see La Locanda’s signature dish, tomato pasta. You may think of tomato pasta as something red, but this pasta still captures the essence of tomato in its taste. The ingredients used here are all imported from Italy, so I hope you will enjoy the combination of Italian tastes and a Japanese garden at La Locanda! 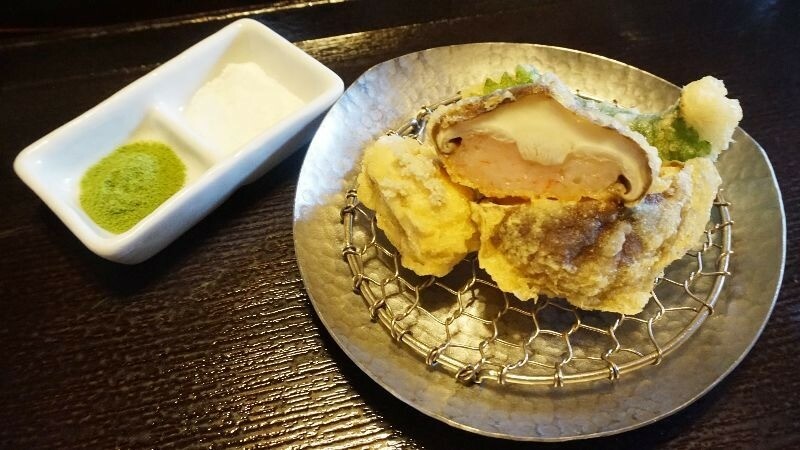 Misoka-an Kawamichiya’s history began over 300-years ago, and you can even feel this long history from the building the restaurant is located in. Once you start dipping the buckwheat soba noodles to the dipping sauce (remember to mix some wasabi into it), there’s no stopping. 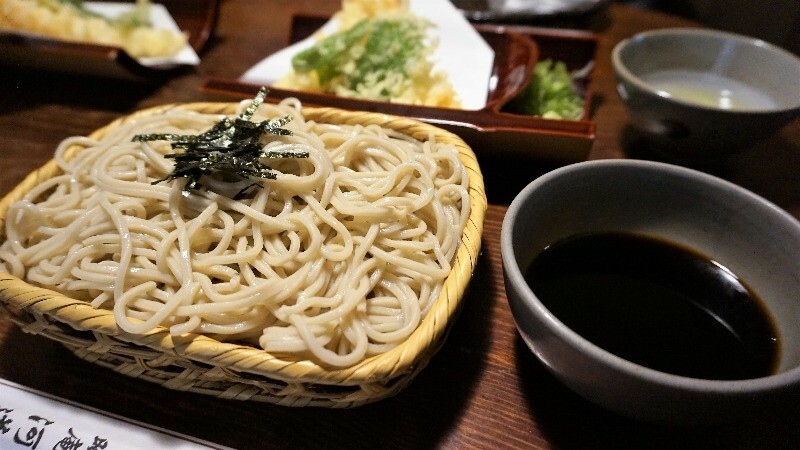 The noodles go very well with the layered, crispy taste of the tempura, and this combination is just as good as you would expect from a 300-year old restaurant. If you want to make your dinner extra Japanese, order a cup of sake to go with the noodles! 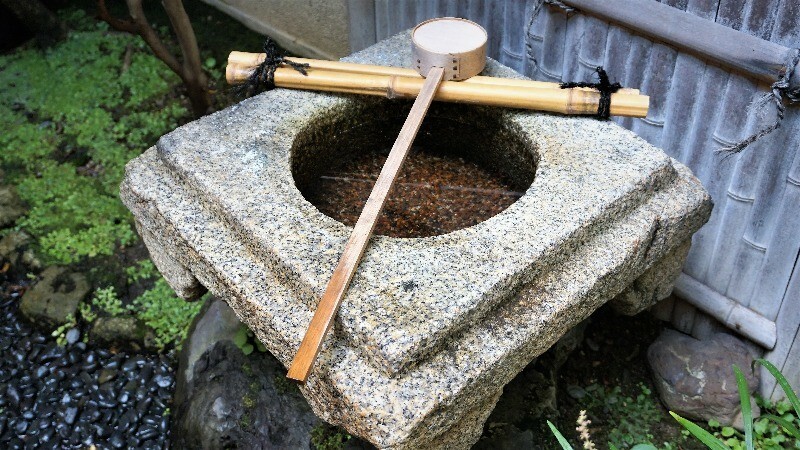 In the garden, you can see the “chozubachi” water bowl, which is an essential part of the roji garden. You get to enjoy Japanese food in a traditional sukiya-zukuri-style building while you look at the roji garden – could there be any better way of having Japanese dinner? Toraya-Karyo Ichijo is famous for their yokan, a jellified dessert made of red beans. Unlike other traditional sweets shops in Kyoto, Toraya-Karyo has gone for a modern, spacious look for their café. 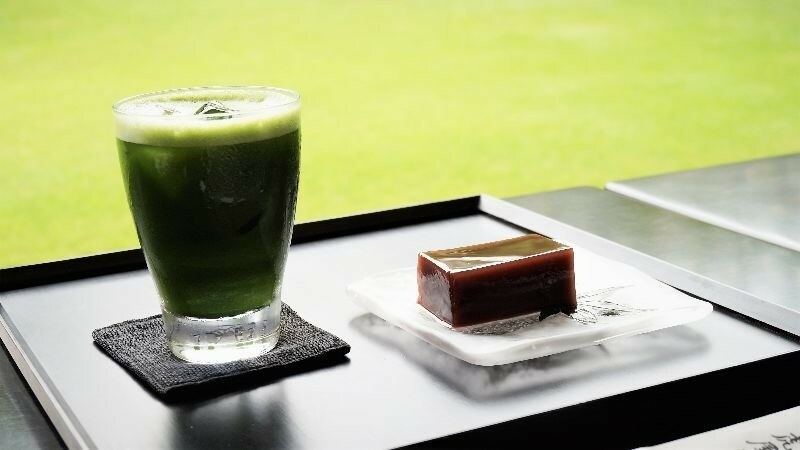 Besides their yokan, they also offer seasonal Japanese sweets, shaved ice, and beverages, so order something sweet and enjoy the garden! 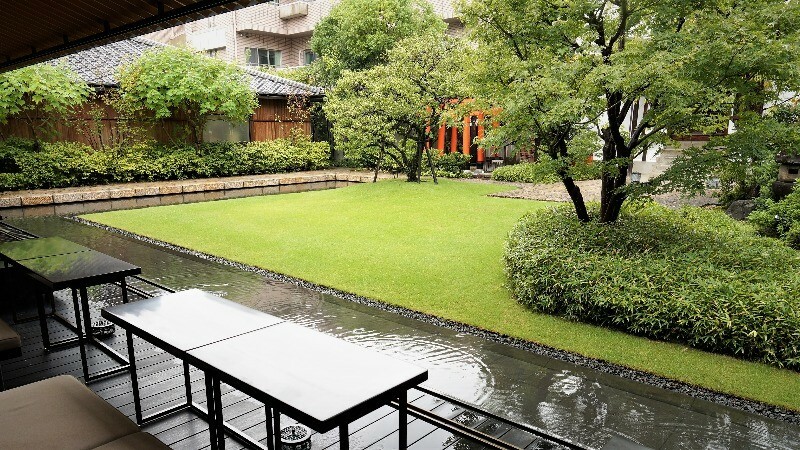 Their café in the Ichijoji area has a huge, expansive garden. Sitting down here, having a cup of matcha with some yokan, while looking out at the brilliantly green garden and the red torii gate is something profoundly soothing and deeply satisfying. 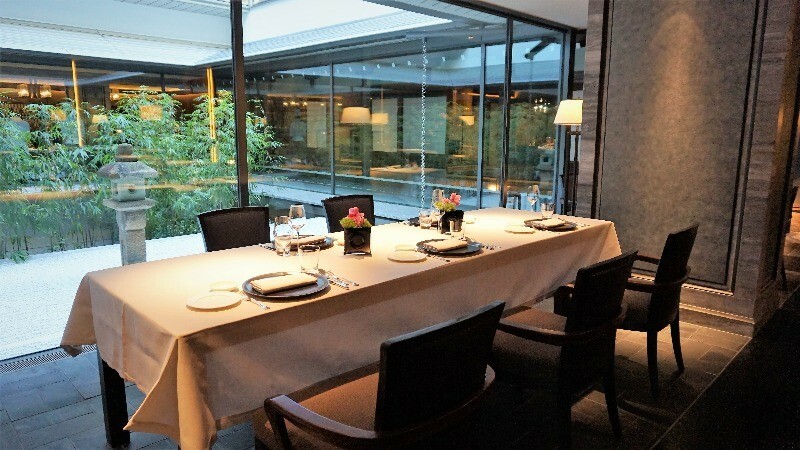 Eating at a nice restaurant while looking out into the garden is a delightful experience made possible by the Japanese concept of roji garden. Especially in Kyoto, with the traditional machiya-townhouses and nostalgic feel of this ancient city, I’m sure that having dinner in a restaurant like this will become a lasting memory for you. Every time I go to a shrine or a temple in Kyoto, I just quietly take some pictures and enjoy the serenity. After reading this feature article, I’m sure that you too now know a little bit more about Japanese gardens! Next time you go to see a garden in Kyoto, I hope you will enjoy it a bit a more now that you know all this about Japanese gardens! Part 1Let’s take a look at Japanese gardens! The different garden styles explained! Part 3Take the Randen tram and come see the beautiful karesansui rock gardens of Kyoto!